Gary has been working in the RV industry, in various capacities, since 1968. He continues to produce informational videos and technical articles for RV owners, suppliers and manufacturers, as well as content for RV service technician training efforts. Gary works closely with RVIA providing original content, editing textbooks, creating videos and other curriculum development materials. 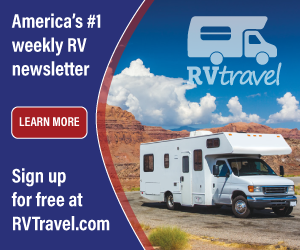 He has produced, directed and published numerous short, informative RV owner videos regularly found on YouTube and many other RV-related websites. 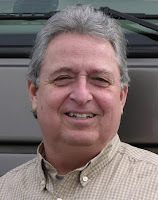 Gary' popular column, The RV Doctor, has been in continuous monthly publication since 1976. It has been featured in many different consumer RV publications over the years; currently in Family RVing Magazine as "House Calls with the RV Doctor" and as "Doctor's Orders" in RV Open Road Magazine. Comprehensive technical articles, blog posts, videos and product reviews by Gary are regularly published in print or on-line. In 2009 Gary was awarded the National Education Service Award by RVIA for his many contributions to RV technical education. He was inducted into the RV/MH Hall of Fame in 2016. His live seminars and workshops remain in high demand by discerning RV Show promoters and his audiences always come away with new insight into the technicalities of recreation vehicles. He is one of the RV industry's most sought after speakers at both the trade and consumer levels.